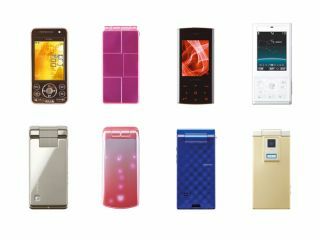 NTT DoCoMo is launching a Fitness Phone in Japan that is aimed at "fat-fighting middle-aged businessmen and young women on diets". The Fitness Phone includes a range of health-monitoring gizmos, enabling you to see how many steps you've walked or what your pulse rate is, and then gives you health advice based on your age, gender and bulk. It even includes a sensor that tells you whether your breath is a stinker or not, says Reuters. However even thinking of buying a Fitness Phone is sure to confirm your loser status. Imagine if it attached a "sent using a Fitness Phone" note every time you sent a text message? You'd never get a date again.